For last week's Workshop, we decided to attempt to communicate long distance without the use of the chat bar. To accomplish this, we built an elementary redstone pulser that would allow us to communicate in Morse Code. Morse Code has been used for over a hundred years to transmit information over long distances and relies on a system of short pulses (dots) and long pulses (dashes) to convey letters of the alphabet. These letters made up of dashes and dots convey words and ultimately a message. For more information on how to use our Morse Code telegraph, see step 5 below. 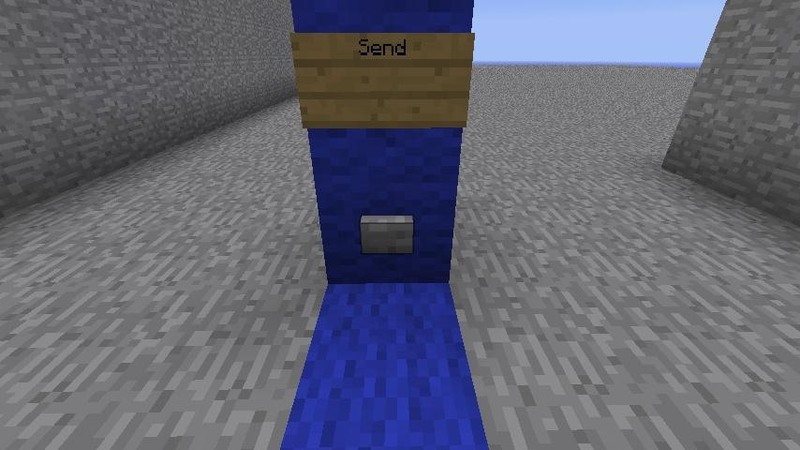 (1) Create a "send" station by stacking two blocks on top of each other placing a sign labeled "send" on top and a stone button below. This will be one side of our telegraph and so I've labeled it blue. 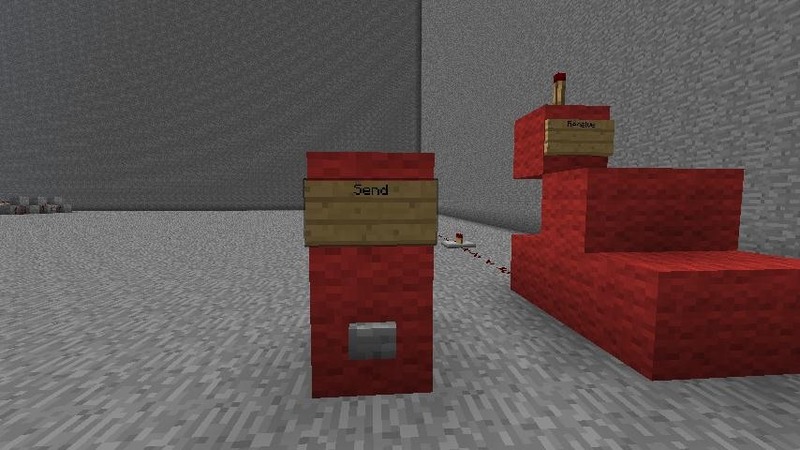 (2) Run redstone wire from the send button to the other end of your telegraph where your messages will be received. Be sure to add enough redstone repeaters to keep the signal flowing. 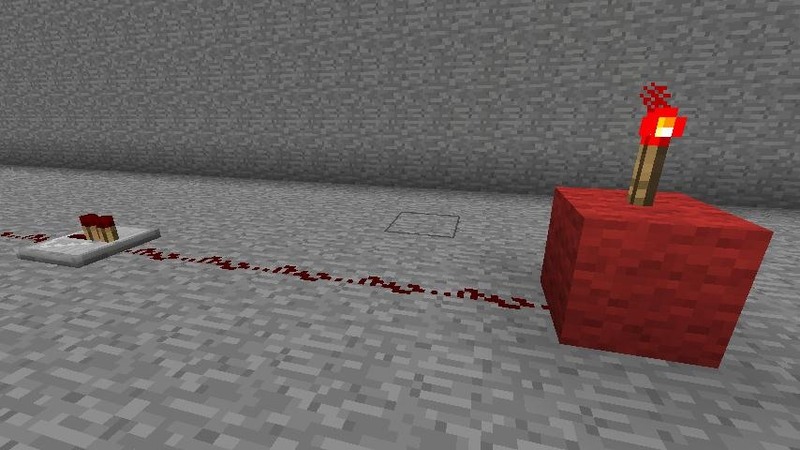 Keep in mind that many servers (if a redstone pulse travels too far out of site) it may get stuck or lag out. 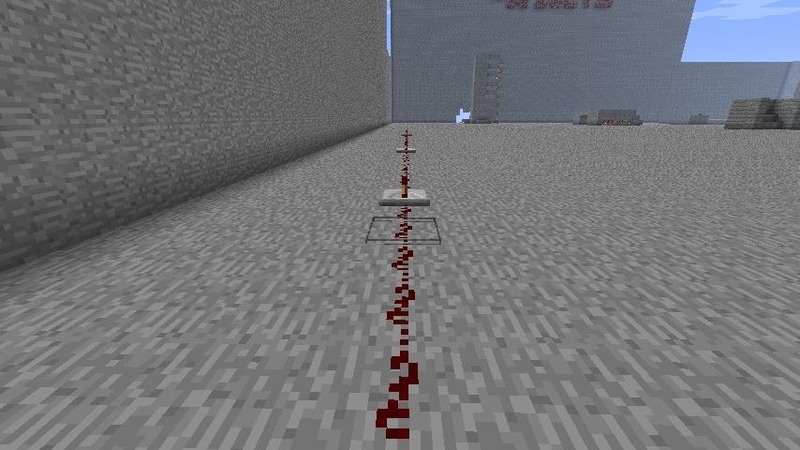 (1) Connect the redstone wire to a block with a redstone torch on top of it. On this end of the telegraph, I have labeled everything red. 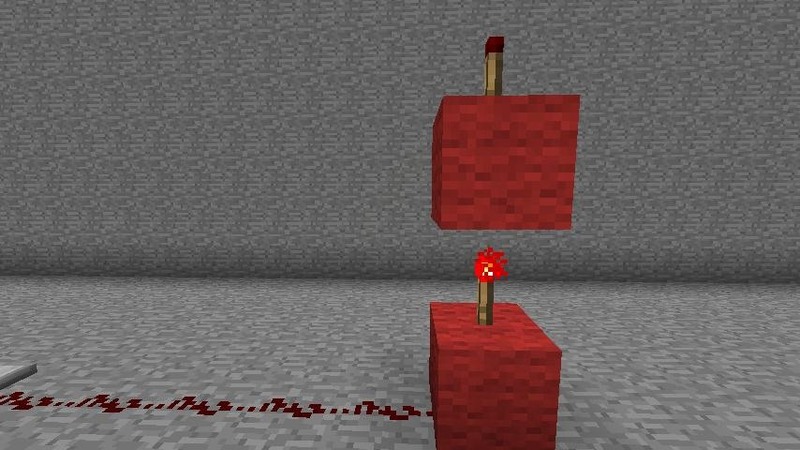 (2) Place a second block above the first redstone torch and place a second redstone torch on top of it. You will notice that the top redstone torch turns off. The top torch is the torch that will relay the message sent from the blue side of our telegraph. 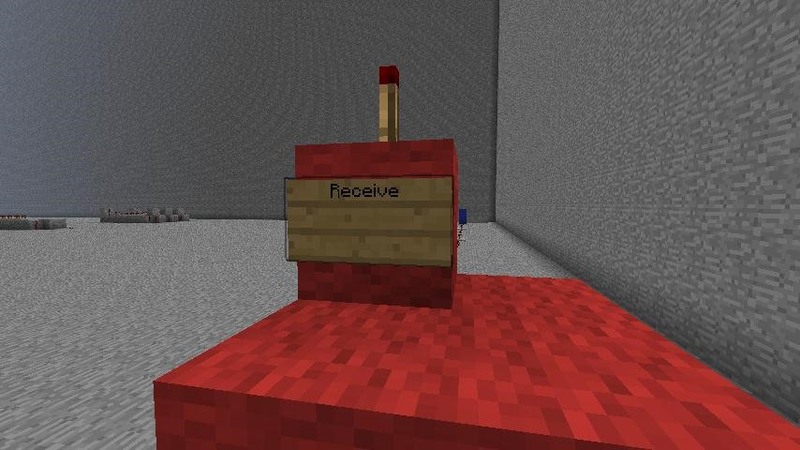 (3) Cover up the unnecessary elements around the top redstone torch and place a sign reading "receive" below it. Here I have built a second version of the first sender / receiver we built, this time with a sender for the red side and a receiver for the blue side. As stated above, the real trick to this Morse Code telegraph is timing. 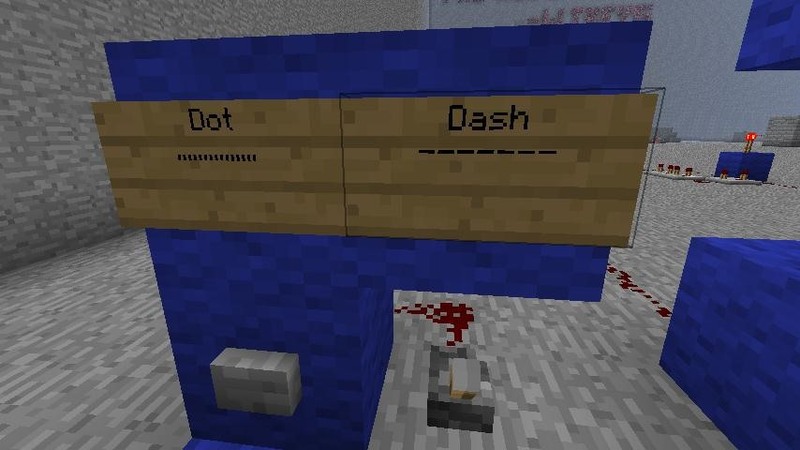 Dots are quick instant pulses with about a second in between each one and dashes are longer pulses with about two seconds in between each one. To make this easier, you may choose to add an optional dash lever as illustrated in step 4. 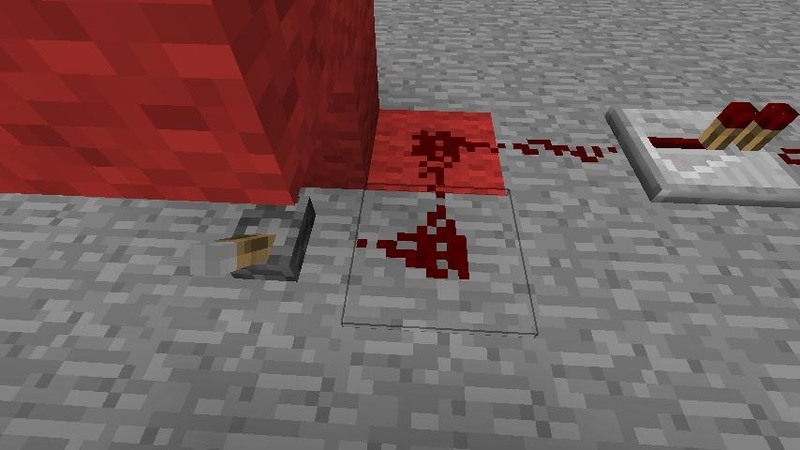 (1) Place a redstone lever next to the block holding your redstone button. You may choose to label the button dot and the lever dash as we did above. 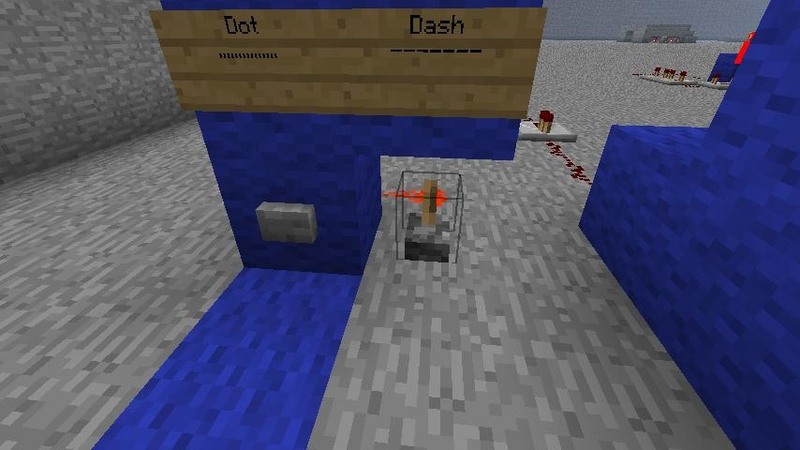 (2) Run redstone from the torch to the line of redstone you have already running to your redstone button. (3) Now when you send a dash activate the dash lever, wait about two seconds, and then deactivate it. This will send an extended pulse which will appear as a long signal. The dash will appear as a quick signal and may be pressed in quick succession for ease of use. (4) At this point you may also choose to attach a note block to the input sides of your telegraph. Doing so will allow you to not only see, but hear the signal coming in. 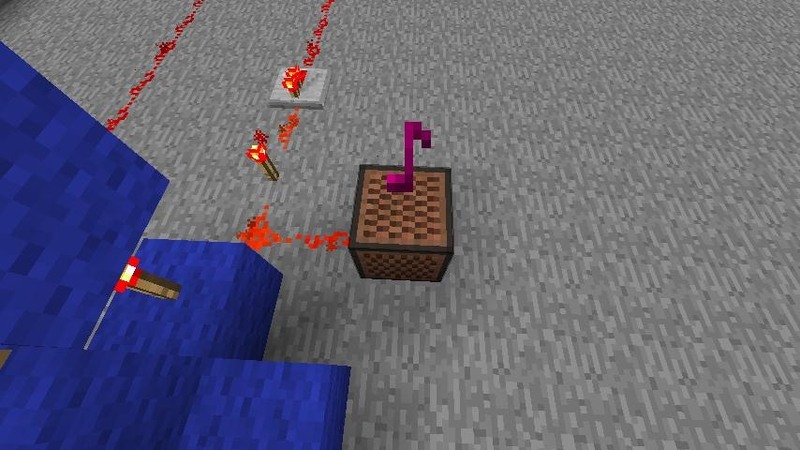 I suggest placing the noteblock on dirt because it will give off a higher pitch note which is easier to hear. (1) Here is a classic example of Morse Code. SOS was used for decades as a distress signal by airplanes and maritime vessels alike. SOS is made up of two letters: S and O. S in Morse Code is three dots, and O is three dashes. So the signal when written out looks like "... --- ...". 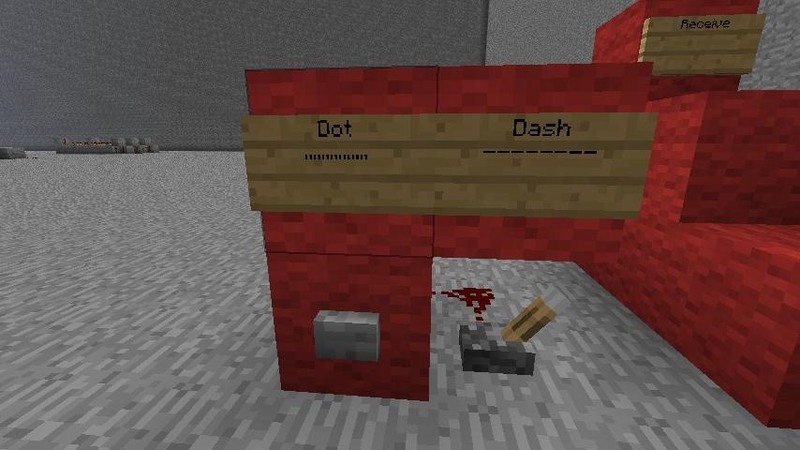 , (2) To send SOS to your partner(s) at the opposite end of your telegraph we will click the stone "dot" button three times as quickly as possible, then we will turn the redstone "dash" lever on and off three times, and finally we will hit the stone "dot" button three times again. 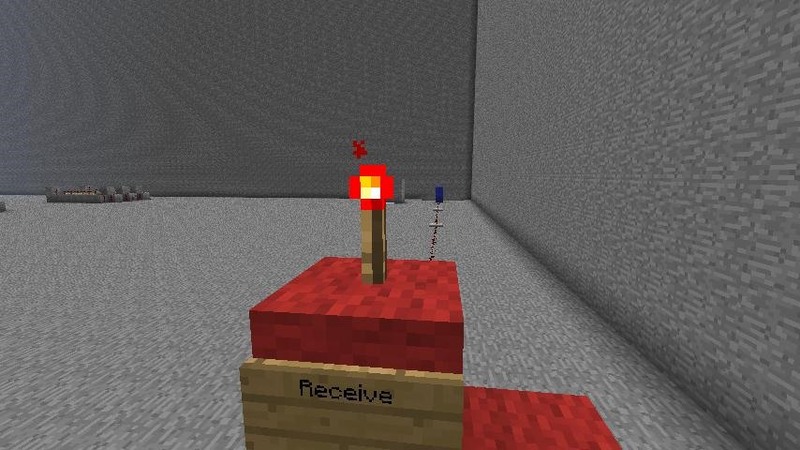 , (3) If we send the message correctly, it will appear as three quick pulses on the receiving redstone torch, followed by three long pulses on the redstone torch, and finally three quick pulses on the redstone torch again. 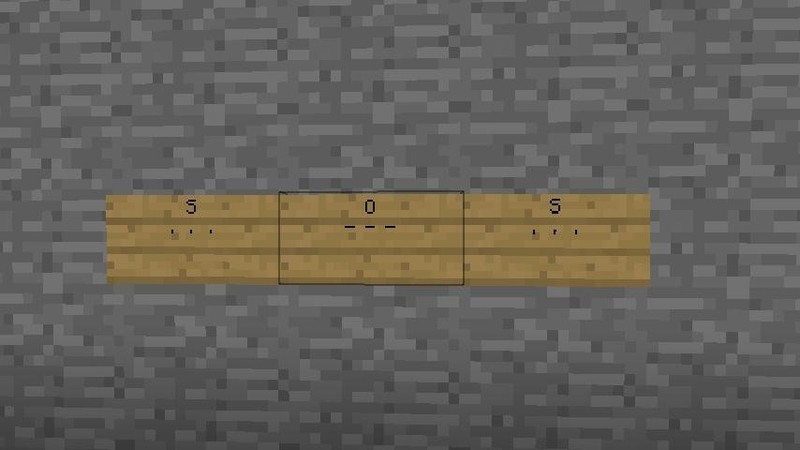 Of course if you're really in danger in Minecraft, it may be best to run away instead of taking ten seconds to send "SOS" to your friends in game. When we built this telegraph for last Saturday's Workshop, it took a bit of practice to understand what the other player was sending, but don't give up! With just a little bit of trial and error user Wikey and I were able to correspond from a long distance fairly easily. The best thing to do is to write down (or type) the signal as you see (or hear) it come in and then reference a Morse Code chart. If you don't want to spend the time looking up Morse Code on a chart, use this handy More Code translator instead. Thanks to those of you who showed up and helped us with the Morse Code telegraph this week!